Check out our latest videos and news! 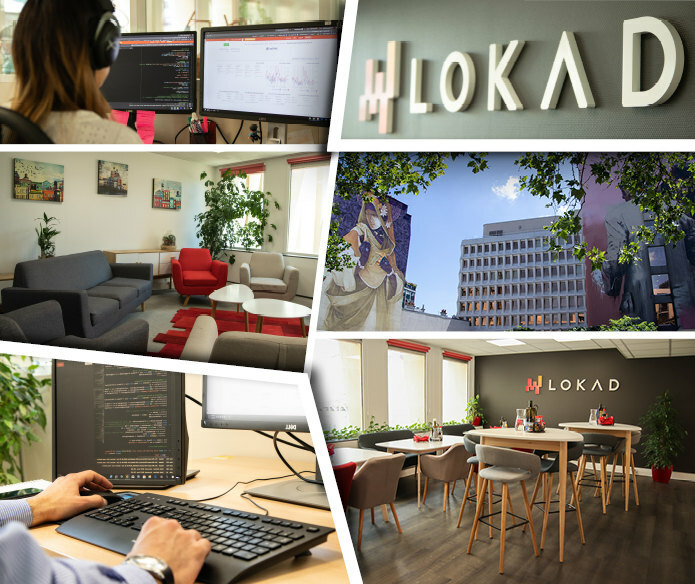 Lokad was created in Paris in 2008 as a software company with a strong technological and mathematical core. The goal was to bring state-of-the-art technology and science to supply chains: we were among the very early adopters of cloud computing, and today we keep the same spirit with deep learning. That led us to several generations of forecasting engine, in an endless race to improve forecasting accuracy. While working on the R&D side we also realized how important it was to build a solution that would be directly shaped by the very real and concrete business problems of supply chains. We came to the conclusion that pure maths wouldn’t manage that - however sophisticated they could be. At the very beginning of 2014, we released Envision, a Lokad-built programming language, entirely focused on supply chain problems. It granted us the flexibility we needed to take into account the complexity and constraints of supply chain (MOQs, MOVs, Bills of Materials, …). By combining these programmatic abilities with the probabilistic perspective of our forecasting engine we were able to give a precise answer to supply chain issues: one centered about ROI, leading to prioritization of actions with a complete overview of the whole supply chain in mind. In 2015, we then proceeded to build a team of Supply Chain Scientists: engineers with an expertise not only in maths and coding, but in supply chain as well, that is, people that would be able to wield the weapon that was Envision for the benefit of our customers in order to be the perfect copilot for the optimization of their supply chain. By following this path, Lokad has grown an average of 50% per year. Though initially funded by love money and a couple of business angels, no investors were further involved. We are quite proud that the growth obtained so far has been organic and due to revenue generated by customers. We do our best to grow at our own pace; our clients are not to suffer from disorders generated by our own growth. Applying incorrect recipes to a domain as complex and unforgiving as supply chains does not make them better, but worse. At Lokad, we strive for science while fighting against scientism. Reality tells whether a supply chain decision is good or bad. Unintended effects matter. Scale matters. IT landscape matters. Performance is about getting the economic trade-offs right. Our technology is forever in flux, progressing as our own understanding of the problem progresses. Graduate from the Ecole Polytechnique and Cambridge University. Previously Senior with a focus on process analysis at the Financial Advisory Department of Mazars. Graduate from the Ecole normale supérieure of Paris with a specialty in programming language design and compiler implementation. Victor was previously founder and CTO at Runorg. Graduate from the Ecole normale supérieure of Paris. Estelle handles the financial and administrative side of the company, as well as human resources and investor relations. Graduate from the Ecole Supérieure des Techniques Aéronautiques et de Construction Automobile (ESTACA). Alexandre managed the Operations for 2 years at Lokad and is now leading the Business Development team. For more information about Lokad's team, visit us on LinkedIn. Willing to know more about Lokad? LOKAD and the LOKAD logos are trademarks and the property of LOKAD. Our logos can be freely inserted in your web pages as long as it is clear that they belong to Lokad. When in doubt, just put a a web link toward www.lokad.com. Download our logos in SVG or PDF. For high resolution photos of Lokad's founder, click here. CAREERS How about joining the team? Lokad's office is located in the center of Paris, in the 13th, next to the famous Station F, and directly in front of the subway station Chevaleret (line 6). From here, it's a 10 minute walk to either the Seine or Place d'Italie. We believe in people being comfortable. People spend more time on a daily basis at their workplace rather than in their own homes. Therefore, it seems logical to try to make the office as comfortable and homey as possible. We tried to design the place with that in mind, with a cafeteria, a living room, as well as free beverages and food. Same goes for the desks. You'll find no open space at Lokad, but small glass rooms for 3 or 4 people, with separated call rooms when you need some space. Every desk is provided with double screen, ergonomic chairs and headsets if you want to listen to music. We don't believe that working 15 hours a day makes you more productive. We are working on hard topics; that requires a sharp mind. Somehow it appears that sleep deprivation is not a good thing when you need to produce smart lines of codes... Therefore, we try to stick to reasonable hours, and we encourage breaks during the day. We are lucky enough to be surrounded by a couple of gyms, swimming pools and a whole lot of restaurants and we make good use of them. Admittedly, at Lokad, we are very very picky when it comes to choosing our next coworkers. We are very happy with the team that now constitutes Lokad, and we are very bent when it comes to keep the same quality. A well-made head, rather than a well-filled head. First, we are always looking for smart people, mainly for two reasons: one, we deal with fairly complicated topics and thus we really need smart people, two, because it makes life more interesting to be surrounded by people who can challenge you intellectually and possibly teach you some new stuff - and it makes for interesting lunch breaks conversations. Second, we are working on pretty disruptive pieces of technology, with a homemade programming language to boot. No one is going to have 10 years experience in what we do. It's fine. We are convinced that a well structured mind able to learn new things can more than make up for any lack of experience, and we provide the necessary training. Therefore, whether you have a PHD in transmission electron microscopy or come from an engineering background specialized in acoustic, we know you can bring something to our team. A cohesive team. We are looking for people willing to work together. One of the things we love to hear from newcomers is how they felt they were able to ask any question and that everyone was happy to take some time to help. We intend to keep it that way. If you are looking for a company involving politics, scorecards, race for promotion, that's not Lokad. Again, people spend more time on a daily basis with their coworkers than they do with their own family. You want to be happy to go to your workplace because you'll be happy to see your colleagues there. That is also a good reason for us to be picky on our choice of coworkers. A diverse team. Although located in France, Lokad has been an international company at heart right from the start. English is the common universal language, and more than half of the staff is not French, with more than a dozen nationalities proudly represented. We believe it is one of our strengths - and it makes our International Food Evenings tastier. Diversity is not only a matter of cosmopolitan atmosphere. One of the growing and more than welcome tendencies in the Lokad team over the last years is the increasing number of women engineers (and even developers) and we can only encourage that! Are you interested by Artificial Intelligence, blockchain, forecasting accuracy, the increasing popularity of Data Scientists, S&OP and more? Then take a look at our interviews on Lokad TV and leave us a comment to join the debate.